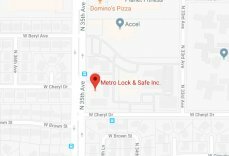 Things to do in Phoenix, AZ | Metro Lock & Safe Inc.
Ranked 5th as the most populous city in the US, Phoenix has a population of about 1,615,017 people as per the 2016 Census. It is the capital of Arizona and the only state capital with over one million people residing within its boundaries. Although it started out as a small agricultural community in 1867, Phoenix became a city in 1881. The city is located on the southwestern part of the US. Although it has some mountains, it generally has a flat topography. The city has a hot desert climate with short, mild-warm winters and extremely hot summers. 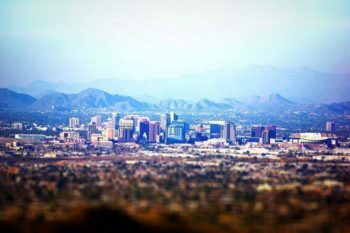 Phoenix is home to various top sights and booms with outdoor activities, making it a top global destination. Here are some things you can do in Phoenix, Arizona. Visit the Desert Botanical Garden to witness at least 8000 hand-lit luminaria bags line the garden trails. The event is inspired by the rich Mexican traditions of holidays. The event is also packed with carolers, spiked hot drinks, all kinds of food and cuisines, including holiday-themed cocktails. It’s the place to have lots of fun starting in November all the way through December. What’s more, the event is family-friendly, meaning you can take your kids along for a great December holiday in Phoenix. Camelback Mountain is the Mount Everest of the Valley of the Sun at sunrise. Its shape resembles the back of a camel, hence its name. Backpack for a strenuous (the mountain is rocky and steep just like the Mount Everest) yet fun hike at this mountain that stands 2,704 feet tall, making it one of the best sites in Arizona with magnificent landscape views. Use the Cholla trail for a great hiking adventure with your friends or loved ones. Although the trail is longer than the rest, it’s less steep in some places. Buy a ticket to attend the Cactus League that usually takes place in March. The spring game is best played on a weekday, especially at the start of March. It offers the largest seat selection at this time, increasing your odds of getting a ticket in the morning. Make sure you buy tickets for West Valley games and choose a team playing at the Surprise, Phoenix, Peoria, Goodyear and Maryvale stadiums. In February, at least 2000 decorated Arabians and the most expensive breed of horses, compete at the Horseshow. Based in Scottsdale, the show features free barn tours with fun facts about each horse taking part in the event. This breed is distinguished by its large brain and fewer vertebrae. You can also golf at Scottsdale’s TPC, take part in Chandler’s Ostrich Festival in March and Kayak with the Fort McDowell Adventures, among other great things to do. Contact us to find out more about Phoenix, AZ, and other fun activities you can do while visiting.